Niall Horan's debut solo album 'Flicker' will be released on October 20. The 'Slow Hands' hitmaker dropped new single 'Too Much To Ask' on Friday (15.09.17) and announced the release date for his record a day after his 24th birthday. He wrote on Twitter on Thursday night (14.09.17): "it's been a long time coming but I'm delighted to announce that my new album 'Flicker' is out on the 20th of October . 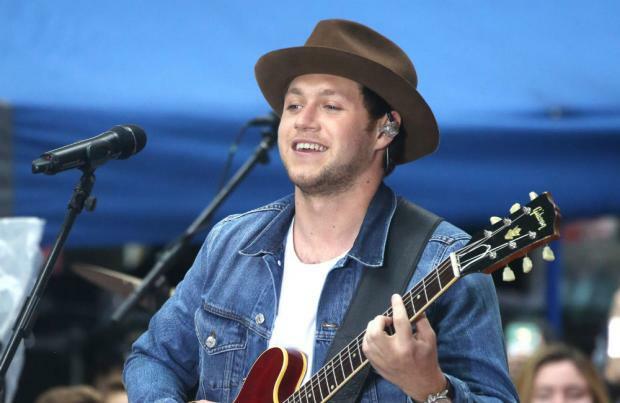 I hope you enjoy it (sic)"
Niall received rave reviews for his first single 'This Town' and 'Slow Hands' and previously teased that the record has an "80s funk rock" vibe to it. He said: "I listen to a lot of 80s funk rock, and I started playing on the piano and that came up ... and hopefully the album will be later this year. I'm still trying to come up with the name, we've only recently just finished recording it." Meanwhile, the Irish hunk has confessed that his first gig with One Direction was "the worst night" of his life and that he and his bandmates - Harry Styles, Liam Payne, Louis Tomlinson and formerly Zayn Malik - have never spoken about it before because it was such a "disaster". He told the BBC: "I never want to talk about that gig again. Worst night of my life. The worst One Direction show ever. "We've refused to talk about it ever since. It was a disaster. We were just a joke. "Anything we rehearsed just went out the window. It was our first ever gig and we just didn't know what the f**k was going on."